Swiss-Belhotel Seef Bahrain features 144 guestrooms including Superior, Deluxe and Junior Suites, all with a modern, contemporary design. Each guestroom has an array of amenities such as a 42” flat screen TV with a wide range of satellite channels, IDD/NDD telephone lines, complimentary wi-fi and cable, high-speed broadband Internet access, a safe with a power socket for electronic devices, and individually controlled air-conditioning. There is also and iron and iron board, a minibar, coffee and tea making facilities, and ensuite bathroom with bathtub and shower. Broadband internet access is also widely available in the hotel’s public areas. 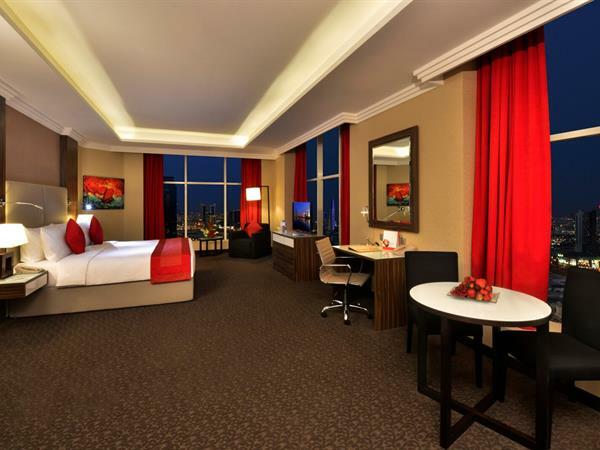 36 comfortable Superior rooms with 30 sqm in modern and stylish design. Available with twin bed options. 32 well-appointed Deluxe rooms with 41 sqm, available with one king-size or twin bed options. 36 rooms designed with in modern and stylish décor, each Junior Suite is superbly appointed for space convenience and comfort.